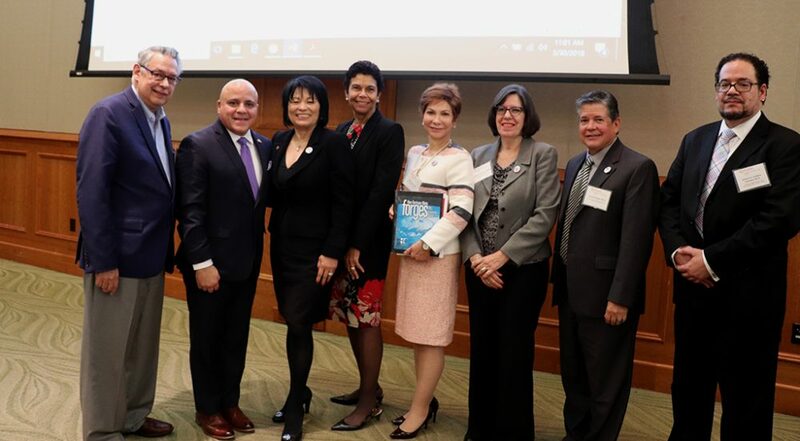 On October 15, 2018, the Rutgers-Camden Community Leadership Center hosted its Hispanic Heritage Month symposium “A Year After Maria: Current and Future Challenges” to mark one year following Hurricane Maria that devastated Puerto Rico and triggered a critical process to identify new methods to reconstruct and revitalize communities and people’s lives. Speakers discussed how to re-imagine, re-invent, re-shape, and re-think Puerto Rico around the issues of education, health, energy, and the economy in this critical time to improve the island’s security and safety. The event also coincided with a special book talk and signing with Judge Nelson A. Diaz on the release of his memoir, Not from Here, Not from There/No Soy de Aqui ni de Alla, published by Temple University Press. Page last updated by Community Leadership Center at 12:20 pm December 12, 2018 . This page was printed from http://clc.camden.rutgers.edu/symposia-and-lecture-series/ at 2:05 AM Friday, April 26, 2019.